Saturday, August 11, 8:30 to 10:00 a.m.
Martha grew up in Exeter on the Phillips Exeter Academy campus with a very active family. Summers were spent at a cottage on Bow Lake; exploring, swimming, picking berries, and playing tennis. A family camping trip across the United States, visiting many of the National Parks, furthered her love of nature and awe of the beauty of our country. Martha graduated from Phillips Exeter and Middlebury College where she majored in Environmental Studies. 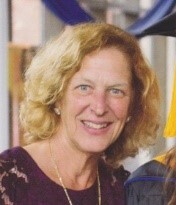 She continued in her family’s teaching tradition as a math, science, computer instructor, and coach at Buckingham, Browne, and Nichols School and Milton Academy. In 1990, husband Chris’s work took their growing family to Dallas, Texas and Nashville, Tennessee. However, summers were always spent in New Hampshire so that their three children could see their grandparents and of course visit their favorite science center! Chris and Martha purchased their home on Sandwich Bay on Squam in 1998, and shortly thereafter decided that it was time to return “home” to New England in 2001. While living in Andover, Massachusetts, Martha parlayed her love of racquet sports and working with young adults into a coaching position at Phillips Academy and Brooks School before retiring in 2013. She also volunteered as a math tutor for Andover A Better Chance and as a tutor and squash instructor for Squashbusters Lawrence. Martha and Chris now live year round in Sandwich, exploring everywhere they can reach by foot, bike, or ski. 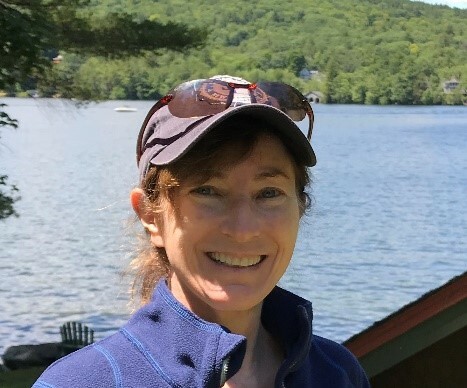 Martha is a monitor for the Squam Lakes Conservation Society, does trail maintenance for the Squam Lakes Association, and became a docent at the Science Center in 2016. The Science Center is still a favorite destination for her now grown children. A Massachusetts native, Susan has been spending summers, and more, in New Hampshire all her life. After graduating in 1985 with a BS in International Economics from Georgetown University in Washington, D.C., Susan returned to the Boston area, completed an MBA at Boston University, and spent 30 years as an investment professional, first at Fidelity Investments, and then at Bain Capital. She retired as a Managing Director from Bain Capital Credit in 2016. After years exploring the NH coast, hiking its woods, and skiing its mountains, Susan and her husband, Rich, were fortunate to find a secondary home on Little Squam in 1994. They have been year round residents in Sudbury, MA since 1994, but spend as much time as they possibly can in Holderness, swimming, boating, hiking, and doing what they can to preserve the beauty of the Squam Lakes and the White Mountains. Their three grown children, Haley, Meaghan, and Brian, attended several Science Center programs, years of the Squam Lakes Association summer camps, and have been active in both the Squam Lakes Association Conservation Corps and Eastern Adaptive Sports, where Rich is on the Board. Susan currently serves on the Science Center’s Investment Subcommittee and is a mentor at The Circle Program in Plymouth. Please call 603-968-7194 x 11 or email or 603-968-7194 x 11 to reserve your seats or to receive paper copies of the Annual Meeting agenda, the new trustee bio, and other meeting materials.